The above quote is the quintessence of what a school symbolizes. No wonder in ancient times a school building was equivalent to a “Temple....of wisdom”. Standing true to this spirit Mayur Public School, which is an amalgamation of efficient and dynamic professionals with state-of-art infrastructure is a space to nurture the budding talents of students. Mayur Public School can hold its head high with pride because we, at Mayur ,believe that the quality of education is the primary ingredient in shaping up the career of a student, rest of the features, we count to be secondary. 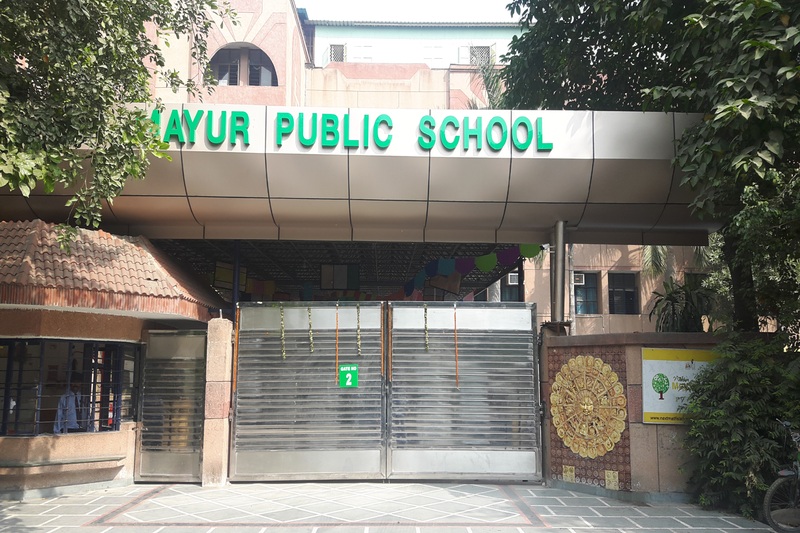 Over the years, Mayur Public School has emerged as one of the most prestigious schools in East Delhi. Founded in 1989, with the motto of “Service before self”, it is an unaided, recognised, co-educational, senior secondary public school. The school, located in the heart of I.P.Extension, has a well-developed, progressive resource base and an excellent infrastructure and a learned faculty that promotes interactive learning. 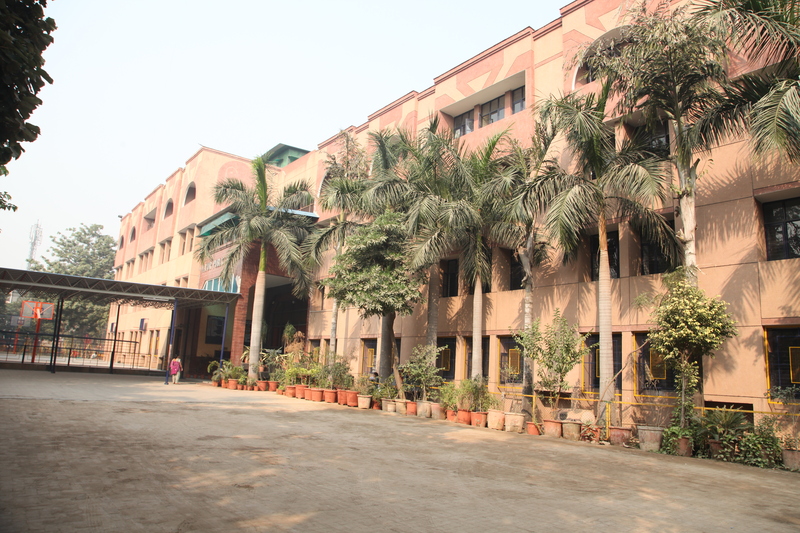 It possesses a grand sturdy building, equipped with all modern facilities comprising of an auditorium, well- equipped laboratories for Physics, Biology, Chemistry, Mathematics, English, Robotics and Computer; a well- stacked and spacious library, activity room, music room and art room. The introduction of smart boards and PowerPoint presentations has further enhanced the teaching standards of the school. The school provides an effective environment empowering each child to understand the world around him, explore it and learn from it. Life at Mayur centres on a shared commitment to academic excellence, intellectual growth, art, athletics and high standards of ethical awareness, sportsmanship, and community service. The school’s traditions and accessibility to board curriculum add depth to each student’s life. The school realizes that academic excellence needs to be supplemented with competence in multiple areas to be successful in today’s global environment. The students at MPS are provided with ample opportunities to augment their talents and creativity. The school endeavours to incorporate a plethora of activities like Dramatics, Fine Arts, Creative Arts and Sports to enable them to pursue and showcase their innate talents. The students are also provided with extra coaching in all the major games through professional coaches who nurture them to their optimum performance capabilities. The school also boasts of a panorama of clubs that aim to promote interaction among students. The clubs like Eco Cub, English Literary Club, Consumer Awareness Club, Science Club, Road safety Club, Mathematics Club, GK Club, Youth parliament impart not only subject knowledge beyond the boundaries of books but also inculcate in them important values like unity, discipline, confidence and self esteem. It also is an opportunity to bring all the students of ll grades under one umbrella to share and learn from each other without discrimination. Due attention is given to address grievances of students and to look after the same , there are many committees like Discipline committee and sexual harassment committee which are actively functional to ensure a peaceful environment required for holistic development of the learners. Time and again ,Mayurians, through their participation in diverse extracurricular activities, not only discover their latent talents but also have earned a recognition and set examples of excellence at zonal, district and national levels. Keeping pace with paradigm shift in teaching technology and giving hands –on training to the students various labs have been installed for respective subject be it English,maths ,science or computer .No wonder that with each succeeding year, young scholars of Mayur Public School ,are surpassing new milestones of success with an impressive result in class XII board examination conducted by C.B.S.E. The school considers education a life- long process. The goal is to inculcate in the students a love for learning and a desire to excel at every level. To sum up, the mission of Mayur Public School is to equip the students with the intellectual and practical skills that are necessary to meet the challenges in the future.